I’ve been travelling with a new friend, Selina, this last week. Actually I think she’s lots of people’s friend, because Selina is the default voice on my TomTom satnav. I didn’t think I’d like her but in fact we’re getting on fine. I had practiced with her in the UK a bit, just to make sure she knew what she was doing, and slowly my trust in her has grown. She tells me what lane to be in to make sure I get the junctions right, and she gives advance warnings at exactly the right time. Trouble is she’s awfully British. Terribly BBC, don’t you know. Which is fine, until she starts trying to pronounce Spanish place-names. Nobody has ever told her that usually in Spanish you put the emphasis on the penultimate syllable. 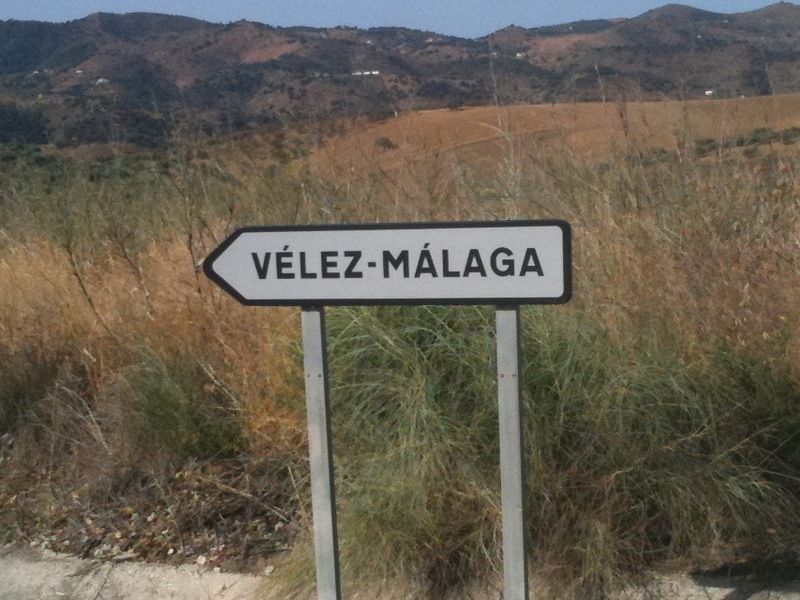 We went for a drive the other day, heading down to the coast at Velez-Málaga. Málaga is an exception to the rule about the penultimate syllable, so it has an accent on the first á to show you where to hit the stress. Well any British hen party flying out from Stansted or Bournemouth can pronounce Málaga alright, but not our Selina with her Queen’s English. “Turn right to ….. Vell … Ezz …. Mar ….. Lar ….. Gar …..” she intones, with equal emphasis on every syllable, and an annoying downward cadence on each one too. Well Selina, being a shiny new 2012 model, is even more advanced than that. Yes, when I deliberately ignored her and took a different turning to go into the Viveros, the garden centre, she did indeed utter those immortal words. Because she knew I was in a dead end – clever Selina! But usually she doesn’t even suggest turning round or back-tracking, she simply re-calibrates, recognises that we are now where we are, and instead of shrieking the famous comedy line “Oooh you don’t want to start from here!”, she finds a new and convenient way of enabling you to continue forward so that you rejoin your original route further along. Plus of course, you are perfectly entitled to decide that you like your new direction, and you can change your destination at any time. We all need a Selina in our lives. Fortunately most of us have the equivalent in our friends. Helping us take tentative steps along our chosen direction. Gently supporting us if we falter. Helping us clarify our options – continue, turn back, or change to a new direction. Never critical, never cross, never stubborn, never rigid. Travelling alongside, but always allowing us our freedom. Always willing and able to re-calibrate at a moment’s notice. Without even stopping to think about it I can easily come up with a dozen real-life Selinas that I regularly or occasionally rely on. Funny how so many of them are women! Not all, but most. Fellow-travellers, one and all. Glad to have my GPF alongside me – Global Positioning by Friendship.